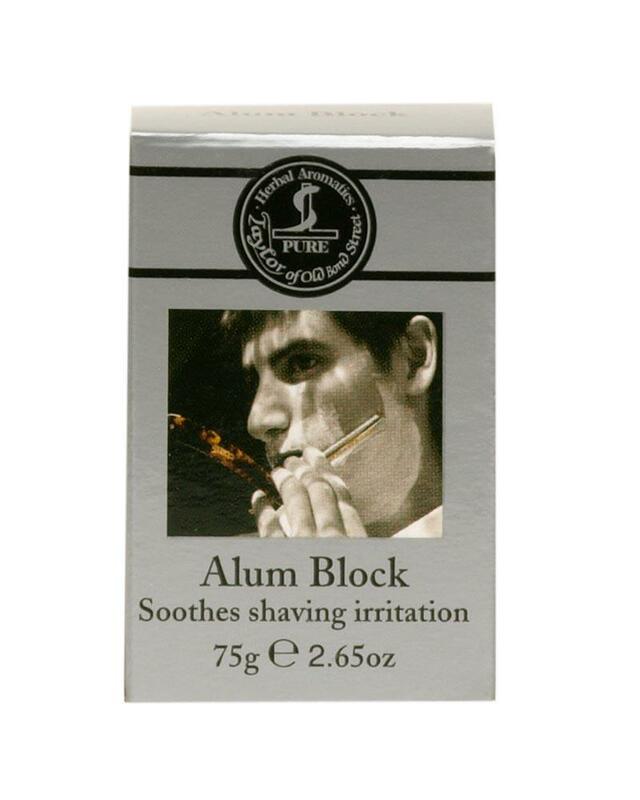 An Alum Block is an essential for any man’s grooming kit. It can be used as an astringent to sooth irritation, a coagulant to take care of any razor related injuries. It can also be used as a deodorant due to its antiperspirant and anti-bacterial properties. And if all that wasn’t enough, in the 50s it was used as an alternative to hair pomade and if applied to wet hair, once dry, could be relied upon to keep a quiff standing tall for the whole day. Wet with cold water and apply before and after shaving to soothe irritated skin. Apply to razors cuts to stop bleeds.